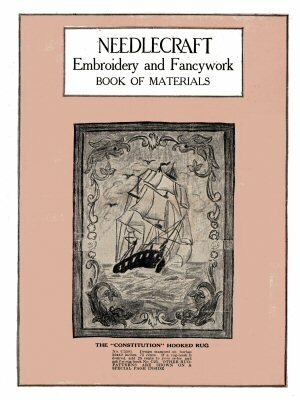 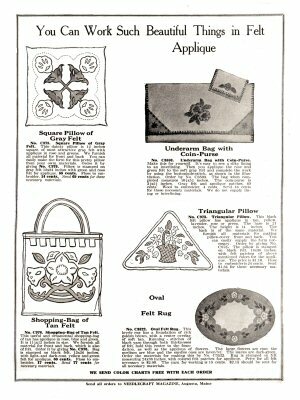 Catalog of embroidery and fancywork material and tools. 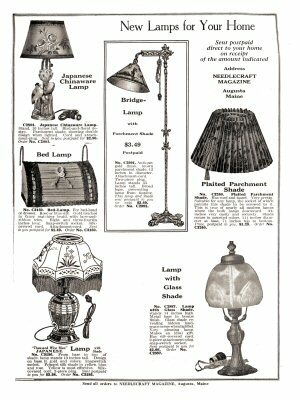 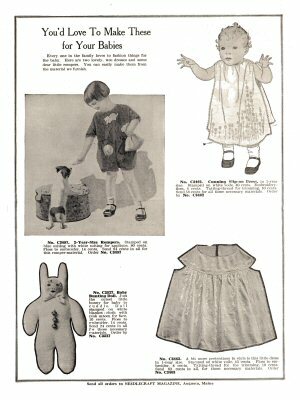 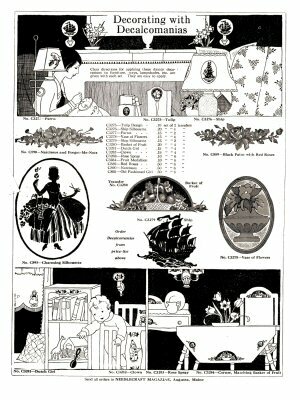 Published by Needlecraft Magazine, Augusta, Maine, around 1920. 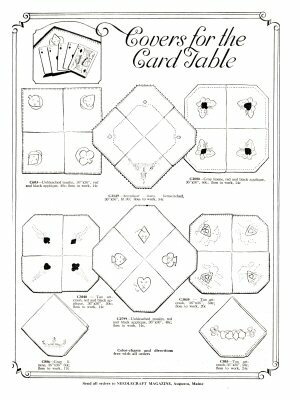 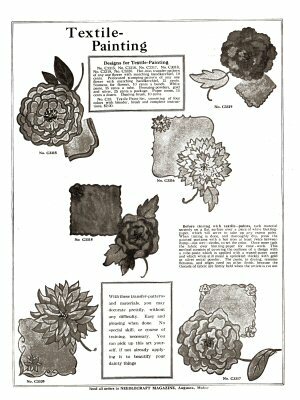 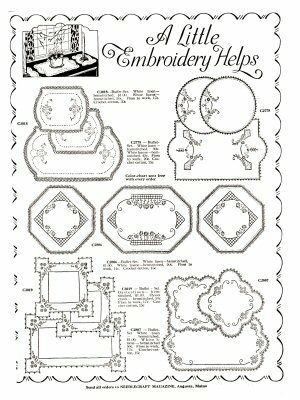 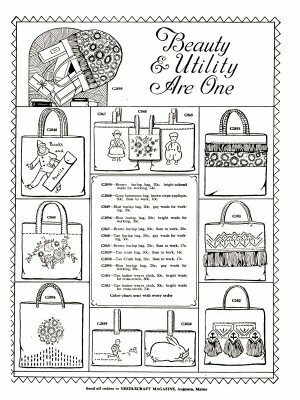 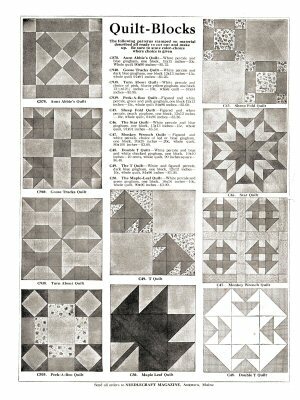 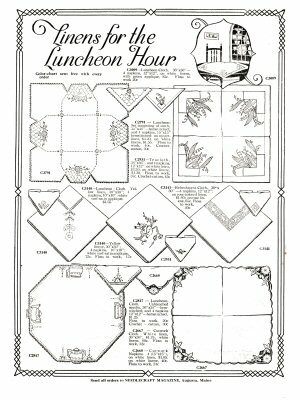 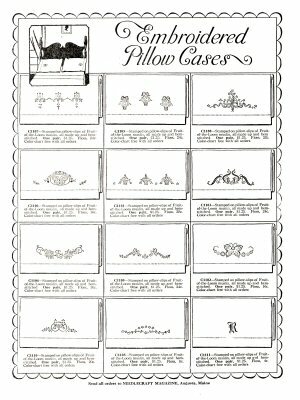 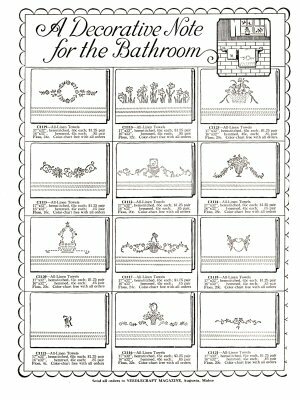 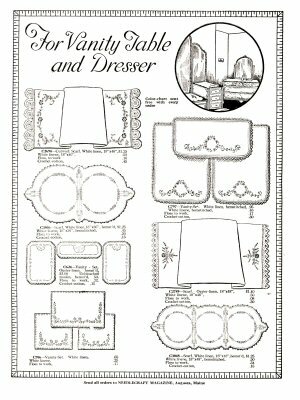 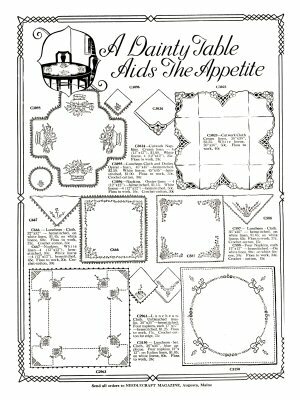 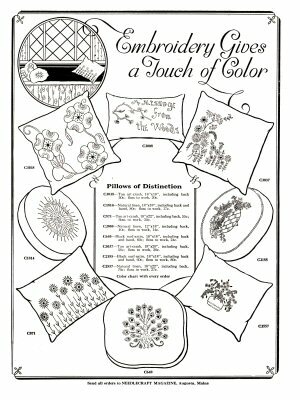 Includes ads for patterns and instructions for quilt blocks; decals decoration; textile painting; school and carry bags; embroidered tea towels, aprons, table linens, doilies, pillows, bath and finger towels, baby clothes, and bed linens. 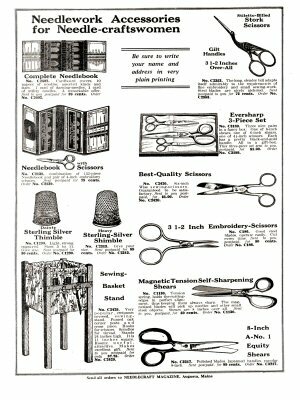 Tool ads include scissors and sewing sets and thimbles. 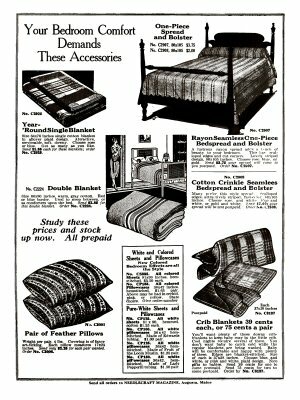 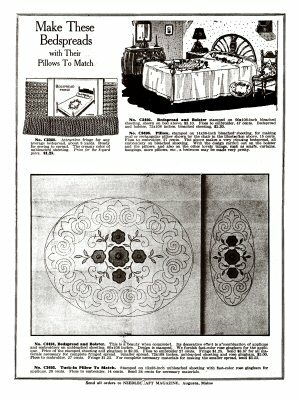 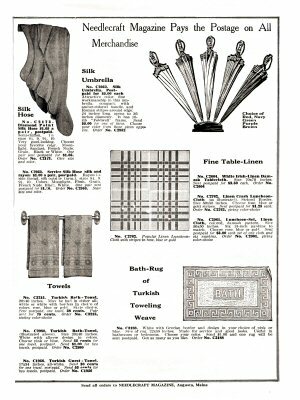 Also ads for woven bedspreads and blankets, rugs, and lamps. 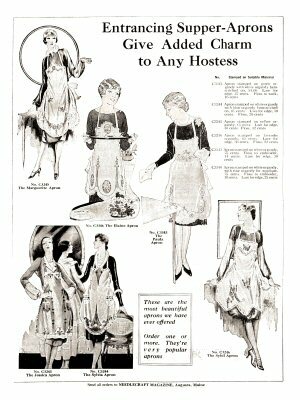 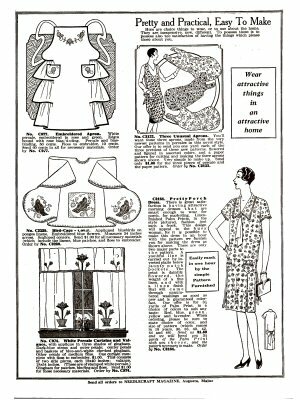 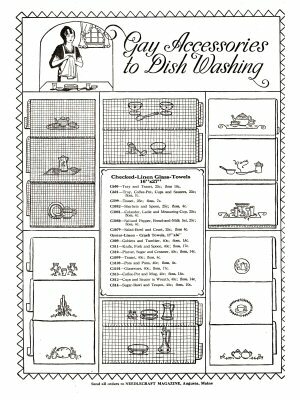 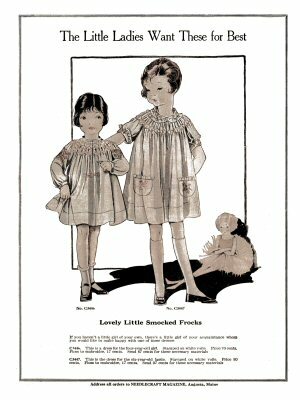 Good snapshot of domestic style circa late 1920s/early 1930s.